Mike France is currently serving his third term as State Representative representing the 42nd District, which include s most of Ledyard, all of Preston and a portion of the Uncasville and Oakdale sections of Montville. Representative France serves on the Appropriations and Planning & Development Committees. 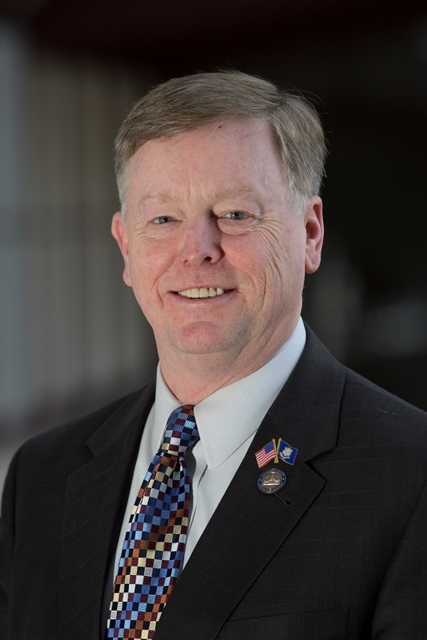 He also serves as Ranking Member of the General Administration and Elections Committee and Chairman of the Connecticut General Assembly (CGA) Conservative Caucus. The son of a career Naval officer, Mike resided in several locations before settling in Southern California in 1971. After graduating from Herbert Hoover High School in San Diego, he enlisted in the Navy in 1981 and served as an Interior Communications Electrician in USS GUITARRO (SSN 665). After being awarded an ROTC scholarship, Mike attended the University of Southern California, earning a Bachelor of Science degree in Electrical Engineering in 1987. Following graduation, he served as the Damage Control Assistant in USS MARS (AFS 1) and the Combat System Officer/Navigator in USS REEVES (CG 24), completing three Indian Ocean/Persian Gulf deployments in support of Operation Desert Storm and Operation Southern Watch. In 1993, Mike was selected to become an Engineering Duty Officer and attended the Naval Postgraduate School in Monterey, California, earning two degrees: a Master of Science degree in Electrical Engineering and the Degree of Electrical Engineer. Upon graduation, he transferred to Portsmouth Naval Shipyard, serving in several supervisory positions, ultimately as the Project Superintendent for the $18 million overhaul of USS DOLPHIN (AGSS 555). In 2002, Mike transferred to Supervisor of Shipbuilding, Groton, Connecticut, serving as the Program Manager’s Representative (PMR) for the VIRGINIA (SSN 774) Class Submarine Non-Propulsion Electronics System (NPES) Assistant Program Manager (APM). Mike retired from the Navy in 2005 after serving 20 years on active duty. es as the Joint Interoperability certification lead for the VIRGINIA (SSN 774) Class Submarine Program and also supports the Integrated Combat System (ICS) Test and Evaluation (T&E) Team. In November 2011, Mike was elected to the Ledyard Town Council and assigned to serve as the Chair of the Finance Committee. During his tenure, he also served the residents of Ledyard as the Town Council Liaison to the Permanent Municipal Building Committee, Historic District Commission, Conservation Commission and Pension Board. In May 2013, Mike was elected to the Republican State Central Committee, representing the 19th District. He is a member of Somerset-St. James Lodge No. 34 in Preston. Mike lives in Gales Ferry with his wife, Heather. They have six children: Brandon, Annemarie, Laurel, Marguerite, Brittney and Frederick; and four grandchildren. His interests include tennis, golf and genealogy.